Your donations to AMLuthiers help individual technicians become self sufficient, for example, Allan Kawalya of Uganda. He has been working with us daily the past 3 years online. His two year residencial apprenticeship begins March, 2019. The expenses are covered by your patronage. Please help Allan with the last of the expenses to get to Chile. When he returns he will be the only piano tuner/technician in his country. He already has hundreds of future customers in Uganda and surrounding countries awaiting his return. AMLuthiers, a 501(c)(3) private foundation, organizes musical instrument donations in the project called DIM, Donations of Musical Instruments We are coordinating the donation of musical instruments so they can be repaired and put to good use. Recipients learn repairs and use the instruments. U.S. donors can claim a tax deduction. Pearl of Africa Youth Brass Band, Kampala, Uganda. Manuel Martin, Vice President of the AMLuthiers, will be going to Uganda to deliver donated instruments. 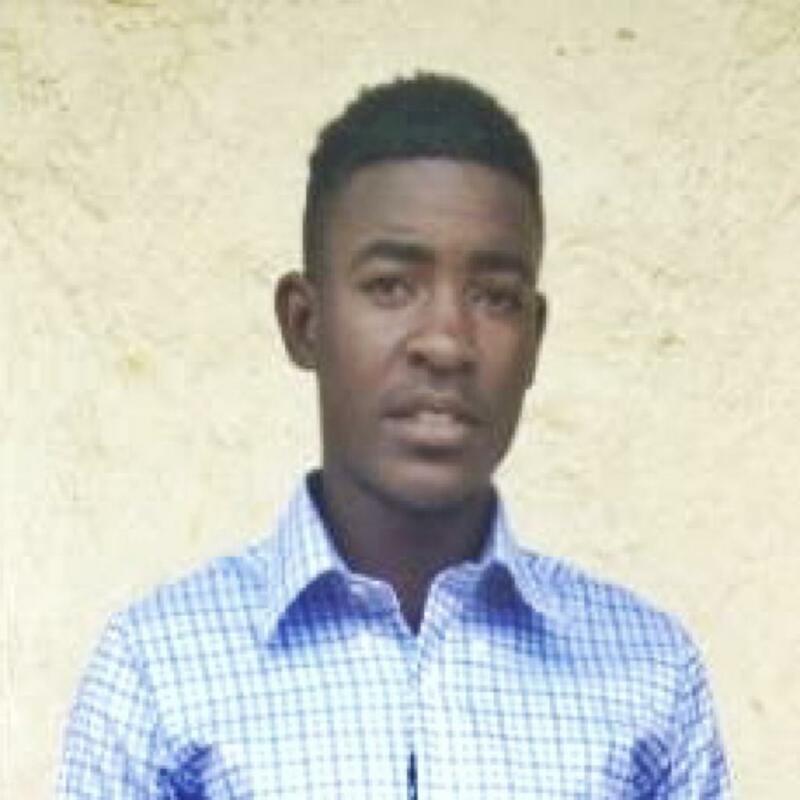 He will also initiate training so the band members can learn to maintain ther instruments and some may be eventually learn to make a living repairing musical instruments. Please help this orphanage increase their ability to serve the underpriveleged children. They currently have 211 players and 21 instruments. When Manuel arrives, they will have many dozens of instruments more. 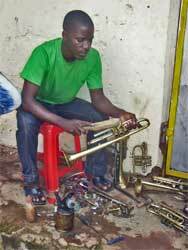 Please help with brass band instruments, music instruction books in English, and repair parts and tools. Until then, Manuel sends instruments every few months at a personal cost of $200 for each set of two instruments. Roy Howard, President of the AMLuthiers is receiving donations in Wichita, Kansas, USA for Chile. 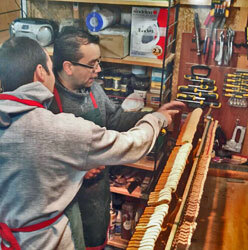 Christian Vilches, Secretary of the AMLuthiers will receive the instruments in Santiago, use them to train others to learn to make a living repairing musical instruments; and sell a few to raise funds for the projects of the AMLuthiers. Please help us keep the heritage instruments in use. Don't leave your instrument in a dark corner with photos and flowers... your piano is a musical instrument, not a sepulchre. Please help with pianos, music instruction books in Spanish, any other musical instruments, and repair parts and tools. Soon we will be accepting donations and shipping from Kansas, Michigan, and other locations. DIM Michigan Collecting instruments for The Dominican Republic, Cuba, and other Caribbean and Central American nations.